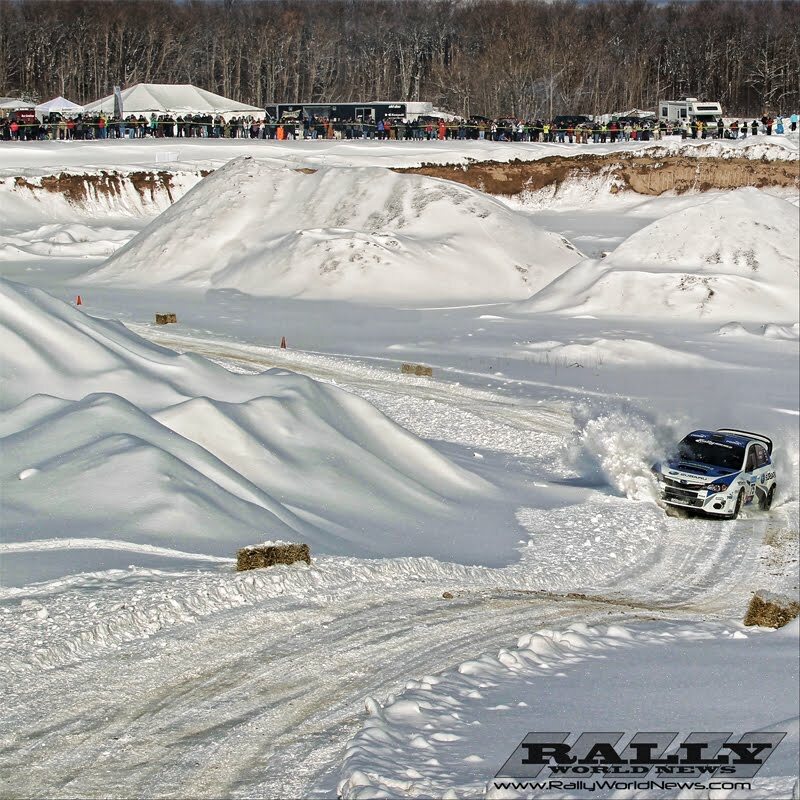 “If you build it they will come.” Despite the blistering cold, hardy rally fans lined the banks of the spectator stage held in a large quarry west of Atlanta, MI. Pictured here is Subaru Rally Team driver David Higgins and co-driver Craig Drew, running first on the road. David looked for the fastest line through this snow covered man made stage. Higgins opened his rally by taking some early stage victories and ,despite making hard contact with a tree on the closing stages on day one, held the overall lead into the closing stages of the rally on the day two. David and his Subaru Team would eventfully have to settle for second overall, but are already vowing revenge at 100AW. “He's back!” Without question there was a certain buzz among rally fans with the return of Ken Block to the Rally America Championship. 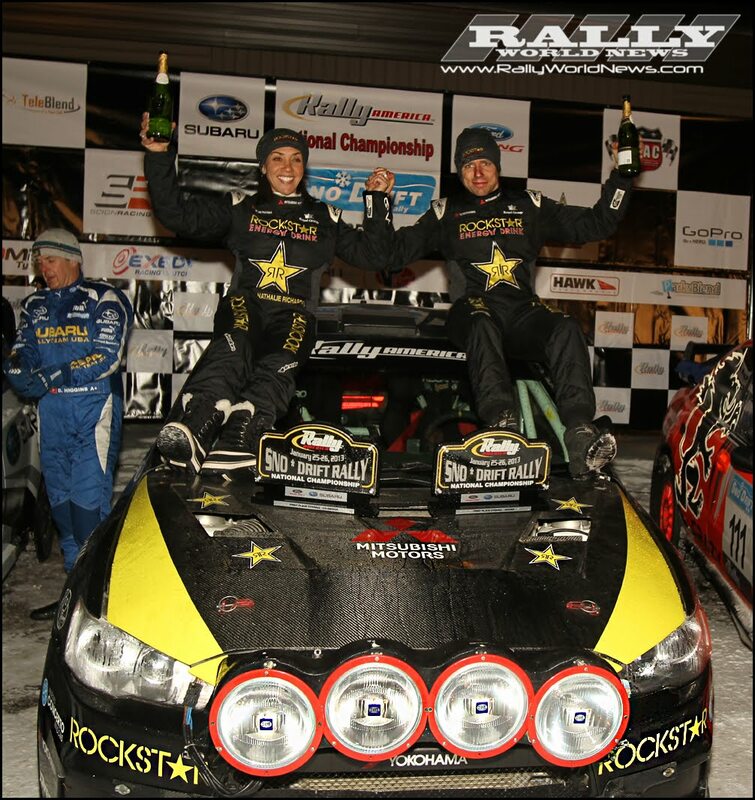 Ken’s newly rebranded “Hoonigan Racing Team” will contest all Rally America events in 2013. 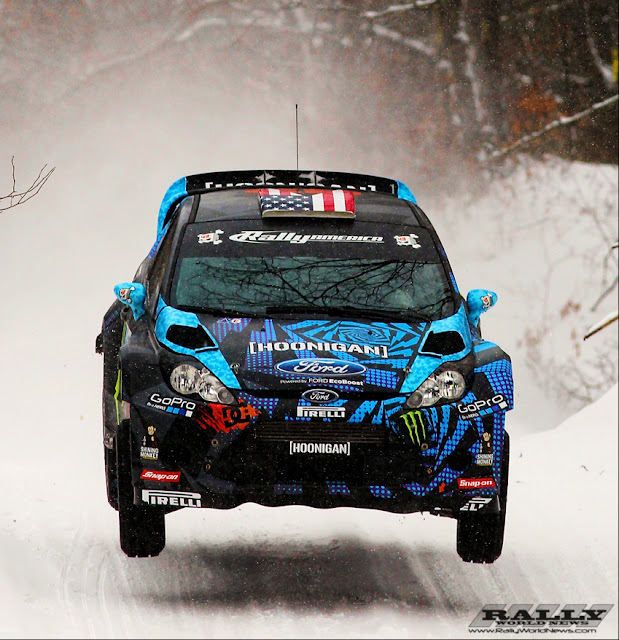 Ken Block will be the first to tell you that Sno*Drift has been a frustrating rally for him over the years. But he was feeling pretty confident in the car setup when we spoke with him prior to the first stage. 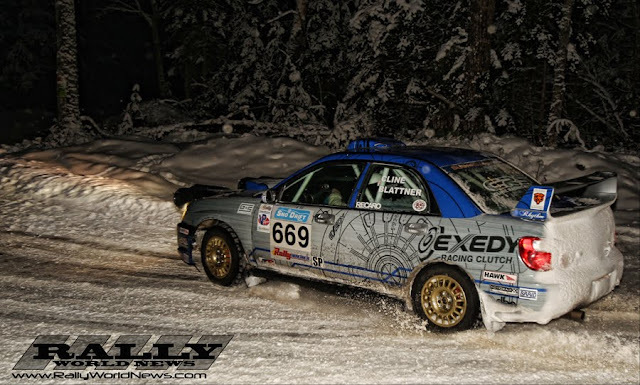 After setting the second fasted time to David Higgins on the first stage, Ken’s string of bad luck would continue at Sno*Drift. Electrical gremlins would stall his Fiesta after only two stages. Thankfully, Rally America has adapted the Super Rally rule where Ken was able to return on day two. It was a case of what might have been had the Fiesta not had problems on day one. 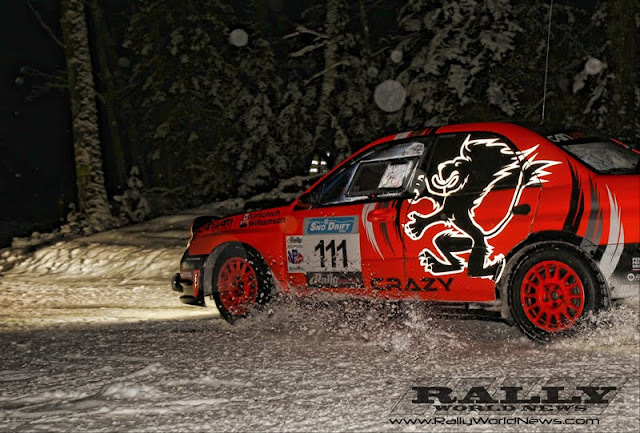 Block and co-driver Alex Gelsomino would set fastest times on several stages throughout day two. 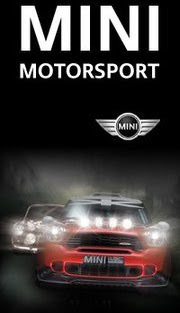 Unfortunately, the penalties accumulated on day one would leave a podium finish out of reach. Block would claw his way back to sixth overall. SP Class: With defending SP Champion Laughlin O Sullivan not able to make it to Sno*Drift due to his new car build not being complete, Evan Cline and his new [again] co-driver Jake Blattner would take full advantage and charged to the class victory. Evan was as high as forth in the overall standing at one point on day one, but with the return of Block and taking the sensible approach for the class victory, Cline would finish 7th overall. Mason Moyle / John A Hall would take 2nd in SP Class and Nick Roberts / Nick Judkins in only their second national rally would take third on the podium. 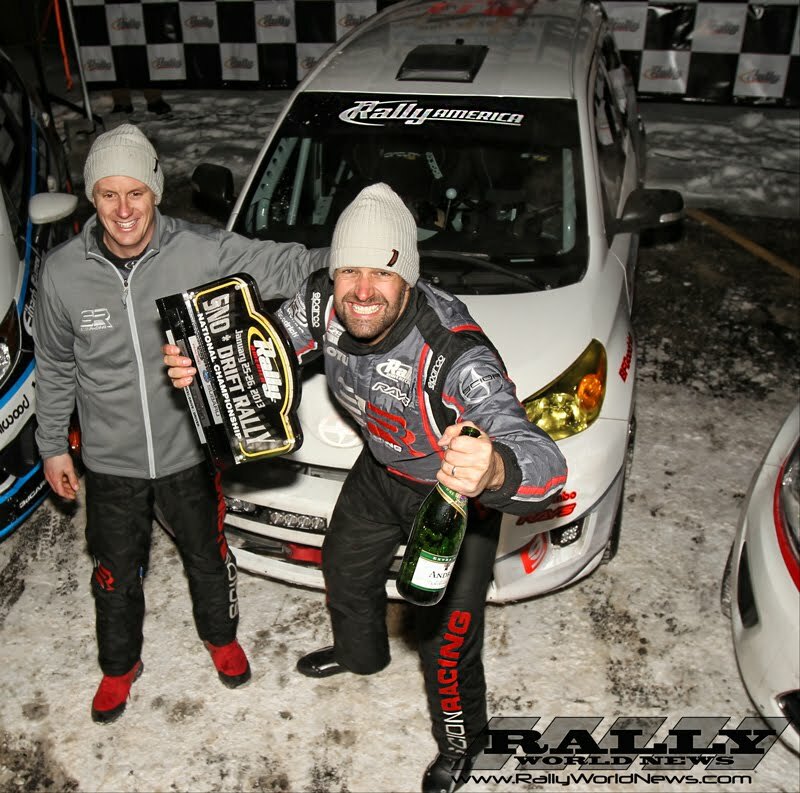 With an unconfirmed schedule for multi-time 2WD Rally America Champion Chris Duplessis, the weight of the 2WD battle for Ford will fall on the shoulders of drivers Dillon Van Way and “Fast Eddie” McNally. 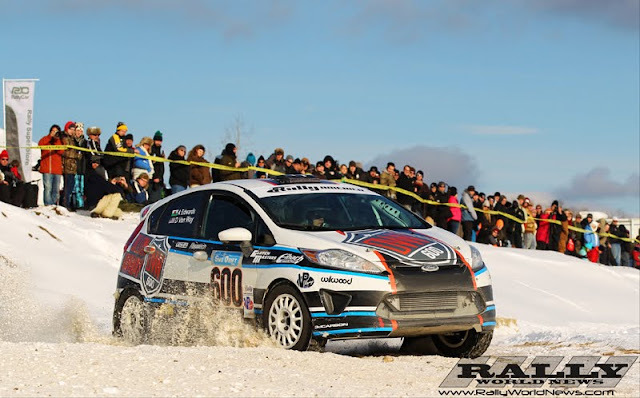 For 2013, Van way has recruited the service of Andrew Edwards to call the notes, Edwards, comes with an impressive resume that includes the British Junior Rally Champion co-driver title in 2010 and runner-up in the national championship in 2011. Although Dillon was unable to match the pace of the Scion Racing team at Sno*Drift we are expecting to see a tighter battle at 100AW in late February.